The “Ruby” is named for the rich, lustrous ruby-tinted varnish that is so well preserved, especially on the back of the instrument. The violin is made on a full model with a broad appearance to the lower bouts compared to the upper bouts. The back is one of the rare “slab-cut” backs seen on only a few Stradivari instruments after 1700. According to tradition, one of the ancestors of the Marquis de Pierisis acquired the violin from Paolo Stradivari. In 1905, while it was still in the possession of the Marquis, the celebrated Spanish violinist Pablo de Sarasate admired the violin and left a charming comment to that effect on his calling card. The Hamma firm sold the violin in 1912 to Heinrich Glatz-Neumann, an important Viennese collector who owned a Stradivari quartet. 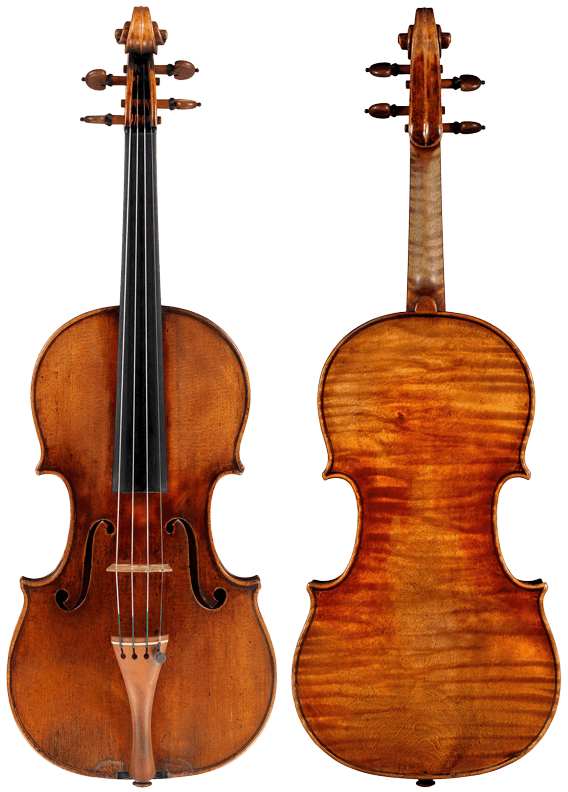 Some years later the Scandinavian collector Harry Wahl owned the violin, and in 1947 the New York dealer Emil Herrmann sold the violin to the great collector Henry Hottinger of Darien, Connecticut. The violin remained in the Hottinger Collection until 1965 when it passed to Rembert Wurlitzer, Inc. The avid Chicago collector Stephen Junkunc acquired it from Wurlitzer. In 1982 Bein & Fushi placed the violin with the present owner as one of the fine instruments made available for use by exceptional violinists through The Stradivari Society®.